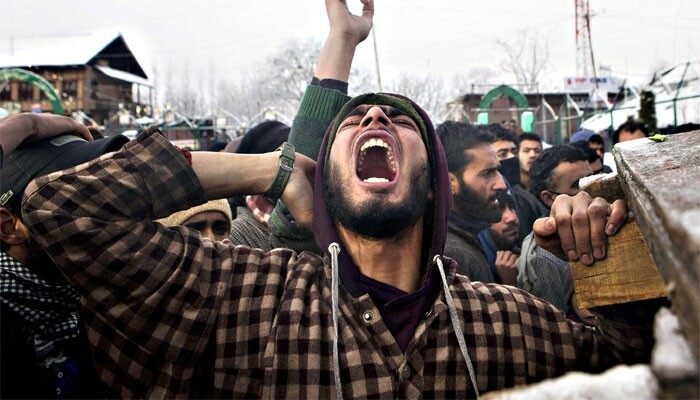 Fear and other emotions are alien to a generation of Kashmiri youth who grew up under the shadow of militancy.. In 1991, when militancy was at its peak, Omar Jan was three years old. It was the year I got married and travelled to Kashmir as a bride. 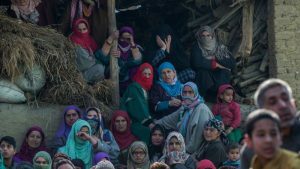 Before that, my visits to Kashmir had been as a travel writer when I had seen that face of the Valley that all tourists see. By 1991, the tourist face had been supplanted by a militant appearance. 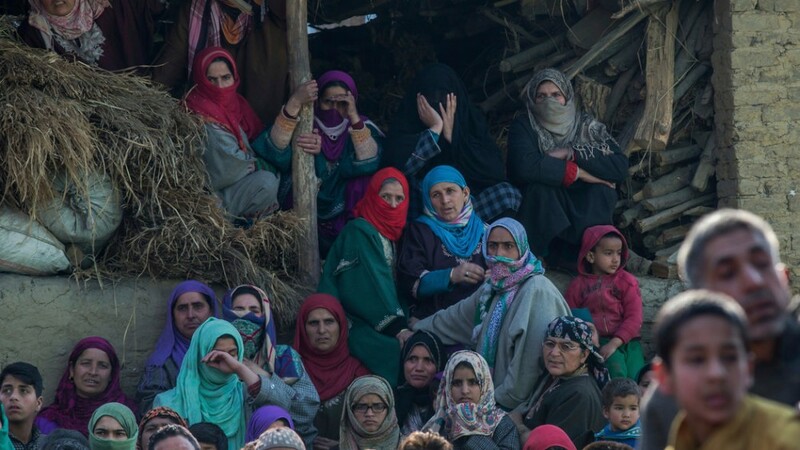 My new family — we lived as we still do in Srinagar’s Old City — would take me to the loft atop our ancient house and, hidden behind pierced open work screens, would point out with glee the various militants who swaggered up and down our road. Of course, there was nothing on our modest road that attracted the jihadists: they were as much part of the landscape in our locality as they were in other areas of Srinagar and beyond. “Look,” younger sister would hiss excitably from behind the jalis, “that one’s from JKLF and he’s Pak-trained. And that one there with the brown pheran is local trained,” she’d trail off, a steely glint of disinterest creeping into her voice. Local trained was not glamorous in the Srinagar of 1991. 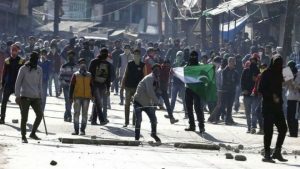 HM (Hizb ul Mujahidin) was, but it lacked the sheer thrill of the home-grown, born-out-of-idealism JKLF, whose four leaders Hamid, Aijaz, Javed and Yasin were heroes that could rival the glamour of Bollywood or the cricket world any day. Those were the days when gunfire would punctuate most conversations, yet we had not become inured to the staccato noise enough to stop talking and listen. Every man, woman and child in the Valley could identify in a trice the source of firepower: whether it came out of a freedom fighter’s gun or an Army man’s. Whether it was on our side of the Jehlum River, or the other side. Whether it was cause for panic or was lower down the emergency scale. Crackdowns, ‘chhapas’, cordon and search operations: these were part of everyday life and when I married into the family, a collective sigh of relief went up. The unspoken sentiment was that now that a bahu from Delhi had joined the family, there was a bridge between the Indian Army with their boots that trampled all over houses, and our family. Now, when Dad and the brothers were forced out of the house during crackdowns, Mum and younger sister would at least not be at the mercy of the jawans that were known to indulge in unspeakable acts, of which stealing money and gold ornaments was the least offensive! Elder sister’s son, Omar Jan, had a shockingly violent childhood, quite beyond the comprehension of most of us in the rest of the country. The area where he grew up, in another part of the old city, was the stronghold of what Dad dismissively referred to as the Bakras. In the opposite camp from our family, nominally Shers, Bakras owed their allegiance to Maulvi Farooq, and we to Sheikh Abdullah, and because he had gone to his grave several years earlier, to his heir, the other Farooq — Abdullah. The two Farooqs espoused very different policies from one another. Farooq Abdullah was the syncretic face of the Valley’s brand of Islam, one so different from the more mainstream Pakistani variant, that to seek common cause with Pakistan was not an option. Bakras (Sheikh Abdullah was the Sher of Kashmir, so his political rival was doomed to be called Bakra) envisioned a pan-Islamic model. But what has all this to do with Omar Jan? Often, the headquarters of Maulvi Farooq’s office building were hijacked by radical young men on desperate, ill-advised missions. One of these was to decimate a senior Army officer who was the cause of many freedom fighters being incarcerated. Omar Jan was too young to go to school and was playing by the drawing room window when the Army officer passed by in his car with a red light. When the remote-controlled bomb went off, the explosion was so powerful that “day became night” as little Omar kept repeating to me, trying hard to impress me with the importance of what he had seen that day. Worse, the grown-ups around him probably recounted over and over again in shocked tones how the officer’s body was shattered into tiny pieces. It was a detail that my ghoulish nephew repeated ad nauseum to anyone who cared to listen. When Omar Jan came to our part of the city to visit, come nightfall and the street outside our home would be deserted. You could hear a pin drop in that blank silence, because when the military men from the nearby bunkers went off duty, they’d be as inwardly terrified of leaving the relative safety of their sand-bagged bunkers as we would be of the consequences of their skittish nerves. A man with a gun walking down the street at dead of night, conscious of being a target of hatred by the public, is apt to react violently at any unexpected sound, so our one-point agenda was to keep Omar Jan quiet. We would all be huddled in an inside room — Mum, Dad, the three brothers, of whom my husband was the eldest, and the two sisters, including Omar Jan’s mother who had come to visit her parents. As usual, there would be no electricity and little Omar would be on my lap. I would whisper nursery rhymes to him, my heart pounding so loudly in my rib cage that I would always wonder why the frog-marching army outside didn’t hear it. The family would be wound tight with tension. What if Omar Jan began crying or talking just that very minute that the jackboots were marching outside our front door? What if they reacted instantly, by pulling the trigger? What if…? More than two decades later, I now realise that the childhood that Omar Jan was subjected to made him the hardened young man that he is today. He is as adorable as he ever was, as caring, as affectionate and ready to learn. But fear, as an emotion, is an alien beast to him. So it would be to you, if you had seen humans blown to bits before your eyes when you were three years old. The first inkling we had of it was during the Amarnath land transfer agitation of 2008. Mum and I were peeling vegetables in the kitchen, with the front door firmly bolted. By then, both brothers as well as little sister were married. Mum and I were as nervous as we had always been, but all throughout the agitation, Omar would breeze in and out of the old house with supreme confidence. When the police, in an effort to control the crowds at the seventh bridge, fired rubber bullets, Omar was injured. Everyone was aghast, except Omar himself. Unprompted by any of us, he has developed a social conscience. He was aggrieved that “his” land was going to be given to a bunch of saffron-robed sadhus who would turn his enchanted green valley into a ‘mela,’ indistinguishable from the rest of the country. I’m not saying I condone Omar’s thought processes, but I do understand where they are coming from. Ever since he was born, he has not played or studied with members of any other community besides his own. Multicultural, multi-ethnic — what you and I take for granted and revel in — Omar and his compatriots have no idea about. There are no multiplexes in Kashmir, few hangout joints for the young and the hip, and barely any restaurants that serve any cuisine but Kashmiri. 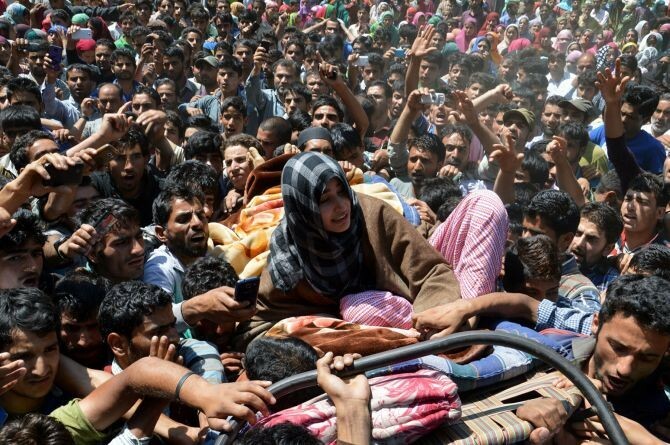 What Kashmir does have is a whole generation of educated youth, Internet, cable television and travel. As recipes go, it is a perfect one for revolutionary ideas. I’ve never asked Omar about it, but if a mullah from Pakistan made his appearance in the Valley, he’d probably be sent flying back with a few well-aimed stones.